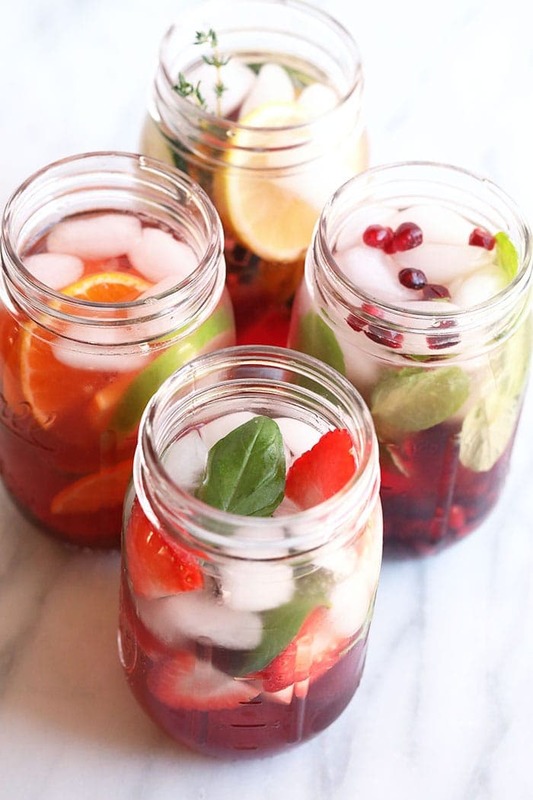 Fruit Infused Water never tasted better! 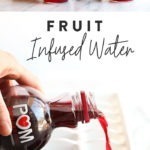 These 4 delicious fruit infused water recipes include POM Wonderful 100% Pomegranate Juice ice cubes for a flavor burst you’ll love. 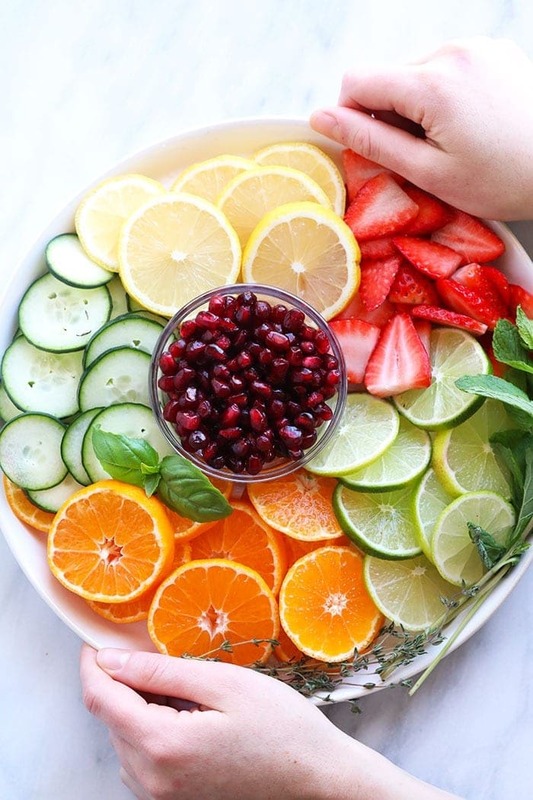 Stay hydrated with us in 2019 with these refreshing and easy to make fruit infused waters! We’re kicking the New Year off right at Fit Foodie Finds by making hydration a priority, especially when we’re on the go throughout the day. Because we work from a few different places on any given day, whether it’s ModernWell, Fit Foodie HQ, Minneapolis Bouldering Project or a coffee shop, it’s easy to forget our water bottles or only drink coffee or tea. And since we workout on average 5 times per week, hydration is so so important. 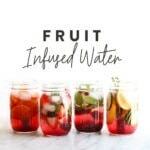 All 4 of these fruit infused waters are made complete with POM Wonderful 100% Pomegranate Juice ice cubes that add a punch of flavor without overpowering the water itself. We’ve been big fans for years here at Fit Foodie Finds for a couple reasons. Each 16 oz. 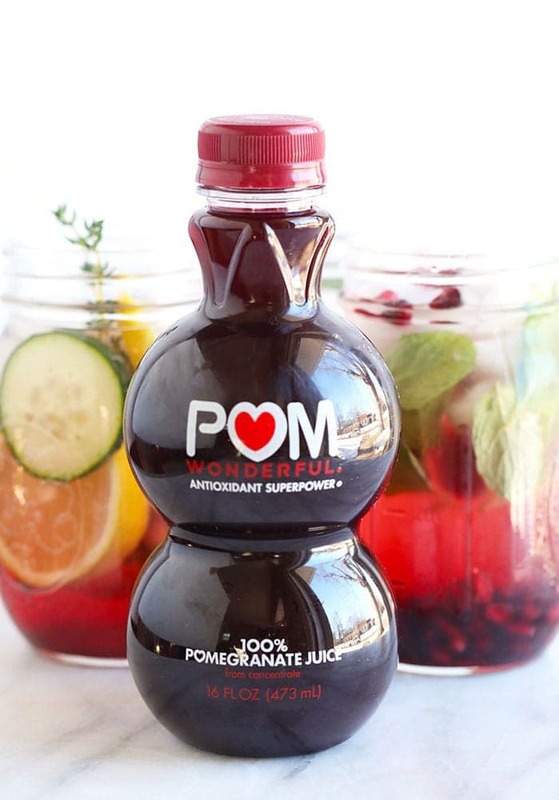 bottle of POM Wonderful 100% Pomegranate Juice contains the juice of four whole-pressed pomegranates, and nothing else. There are no added sugar, fillers or preservatives. Plus, each bottle also has as much potassium as two medium bananas and contains 4x the antioxidants of green tea. 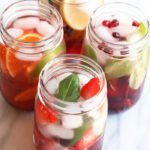 We love POM Wonderful 100% Pomegranate Juice on its own or mixed in smoothies or even in a sauce for a recipe (oh hey, Amazingly Healthy Sweet and Sour Chicken), but this time around we wanted to use it in these infused water recipes. 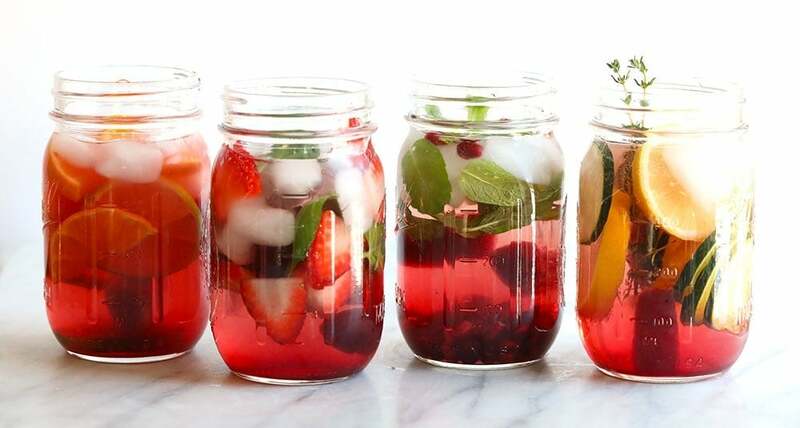 So, we filled ice cube trays with POM juice, and let them set in the freezer overnight before adding to these infused waters right before you serve them or take them in your water bottle on the go. Because POM juice isn’t packed with any fillers, it freezes and thaws really nicely. We like to keep a freezer bag of POM juice ice cubes in our freezer to have on hand to add to infused water anytime. Now tell us, how are you kicking off 2019 on the right foot? Let us know in the comments! 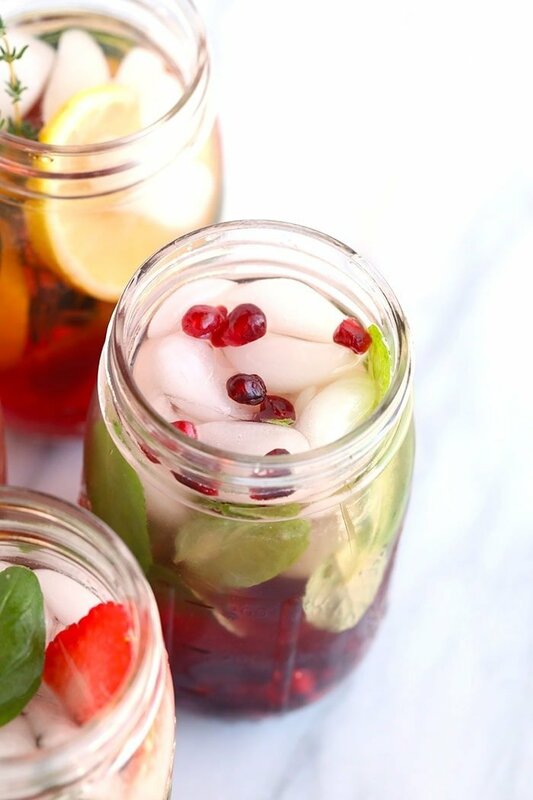 And we encourage you to hydrate with us long into the New Year with these delicious fruit infused water recipes with POM Wonderful 100% Pomegranate Juice ice cubes. 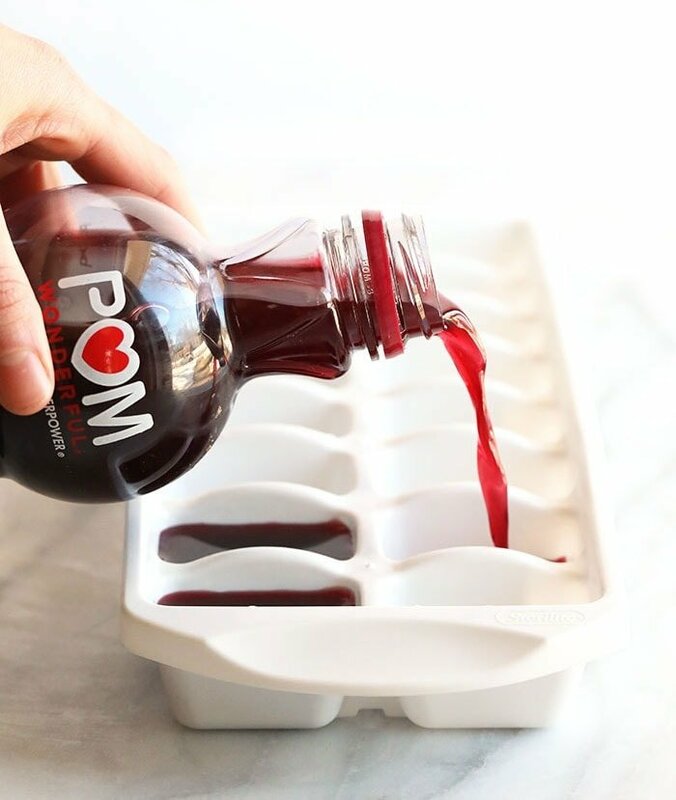 First, pour POM Wonderful 100% Pomegranate Juice into an ice cube tray. 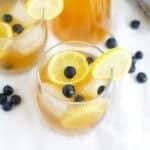 For each of the above recipes, you’ll need around 16 ice cubes or, 4 ice cubes per serving. Freeze for at least 2 hours or overnight. 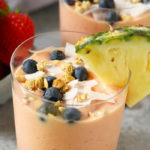 Then, choose one of the above recipes and add directed fruit, herbs, and other ingredients together into a pitcher or mason jars. 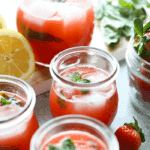 When ready to serve, pour fruit infused water over pomegranate juice ice cubes and enjoy. 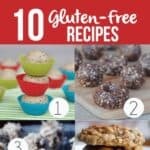 Each of the above recipe flavors serves 4. 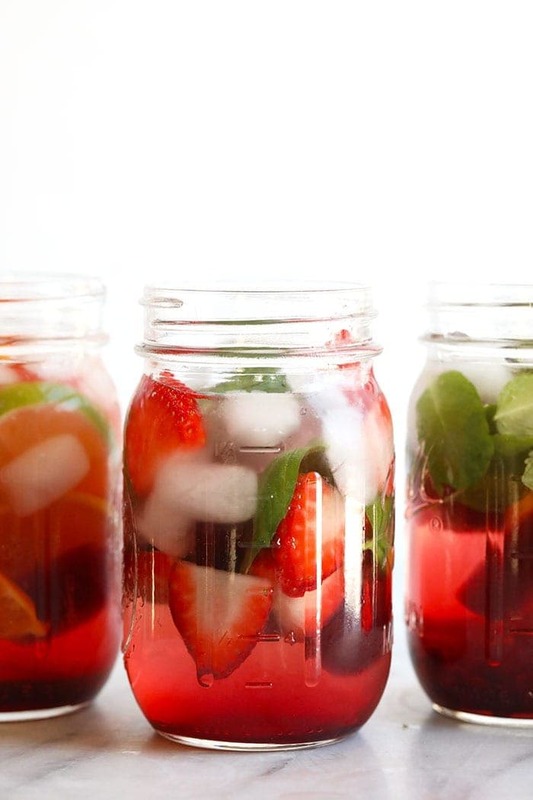 Storage: store fruit infused water in the refrigerator for up to 24-48 hours. This post is sponsored by POM. We were compensated and all opinions are our own. 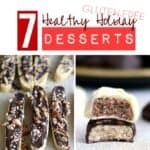 Thank you for supporting Fit Foodie Finds and making this website possible.